for seed-starting & container gardening. 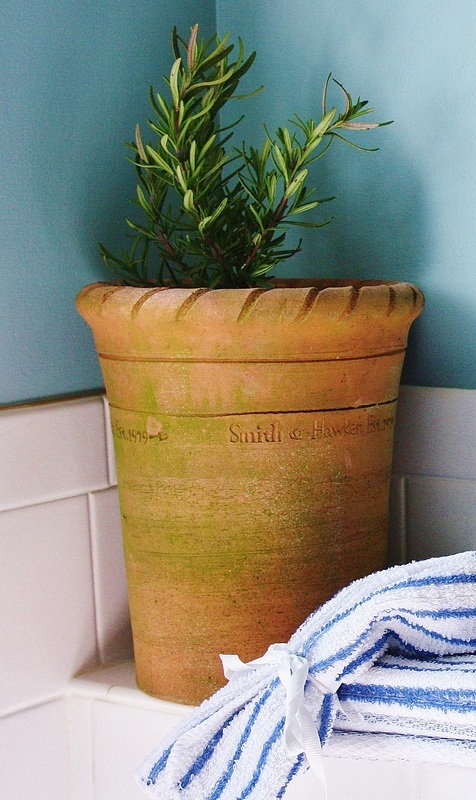 Mediterranean herbs like rosemary, lavender and thyme don't need fancy pots in order to thrive. 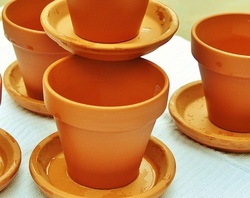 In fact, the best pots for them are simple clay ones called terracotta. 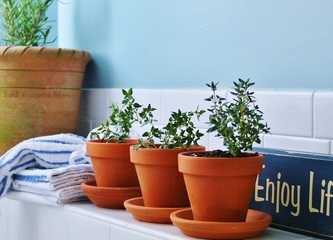 Inexpensive and durable, terracotta pots are unglazed, porous containers that allow water to drain easily. 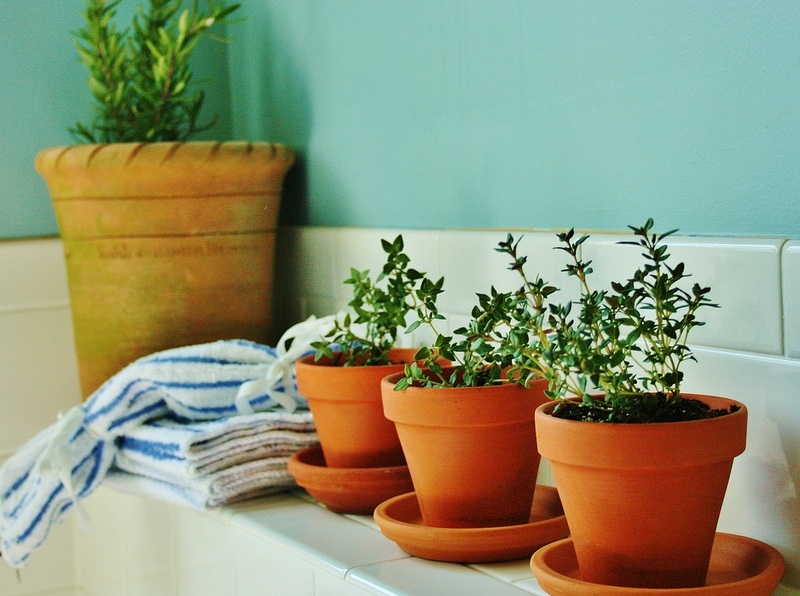 Unlike plastic pots, terracotta pots won't retain moisture for long, and that's just right for Mediterranean herbs, which require well-drained soil in order to thrive. To prevent root rot, allow the soil to dry out between waterings and avoid rich, heavy potting mixes that contain moisture-retentive beads. Instead, opt for cacti and succulent mixes. Or, create your own potting mix, blending two parts sterile soil, sand and sphagnum moss with one part perlite. With minimal care and 6-8 hours of full sun per day, well-planted clay pots of Mediterranean herbs will live for years and years. 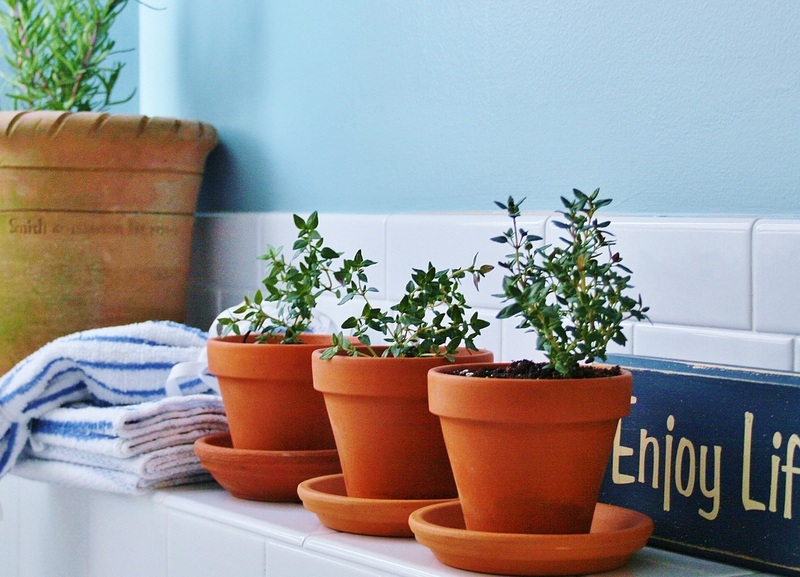 Start with clean, unglazed terracotta that you've scrubbed in warm, sudsy water and rinsed well. 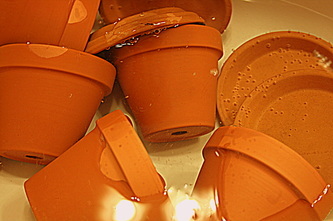 As they age, the pots will develop interesting cracks and chips, and a patina that will give them character, making them more attractive and unique than other more expensive containers. In time, terracotta pots develop a lovely patina. Leaching, moss & mildew can be scrubbed away with warm, sudsy water. Traditional cachepots have no holes in their bottoms, so in addition to hiding flower pots, they also keep soil and water from leaching onto tabletops and floors. Cachepots are convenient to use, making it easy to switch out seasonal flowers like chrysanthemums and poinsettias when they begin to fade. Just pop the old plastic pots out of their cachepots and pop in the new ones--without the hassle of actually re-potting temporary plants. Store-bought cachepots can be quite expensive, but really any container that you like can be turned into a cachepot. 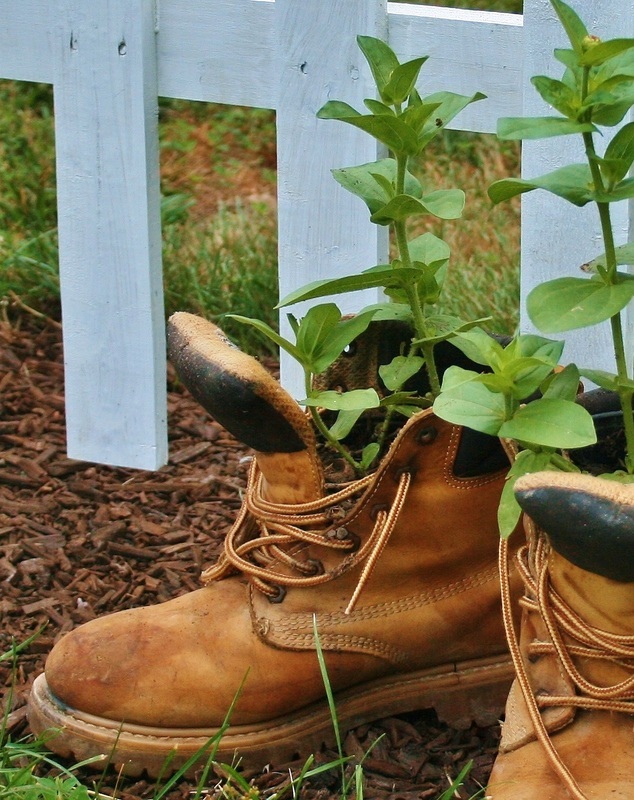 Today people are repurposing all sorts of "junk" into fun flower pot holders, from old work boots and rusty watering cans to tea cups and tea kettles. The next time you clean out the attic, shed or closet, ask yourself, "Should I throw out this old [lunchbox/sink/pair of rain boots/hat/basket/sand pail/toaster] or could I turn it into a really cool cachepot?" I grabbed my old husband's work boots from the garbage, appropriating them for pots of zinnia that I started from seed. I can walk them all over the yard!